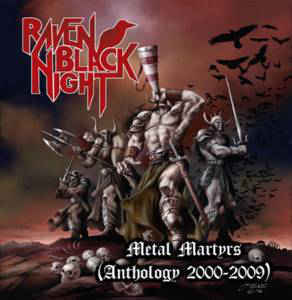 Raven Black Night are not anymore the best kept Metal secret from Australia, after the second album was released in the best Metal label in the planet (Metal Blade). They’re simply one of the best Metal bands coming out of their territory…past, present and probably future too! Their formula revolves around Epic Heavy Metal, Doom and 70’s Priest. This double CD collection presents their pre-Metal Blade days: the debut self-released album in 2004 “Choose the Dark”, two compilation tracks, one unreleased song from the “Barbarian Winter” and on the second CD their demo collection from 2000 to 2009. Presented in a 20-page booklet filled with photos, lyrics and band artwork (including the original cover art of Choose the Dark on the last booklet page for the purists) and demos remastered for better sound quality. Categories: CD-Distribution, DISTRIBUTION, DISTRO STORE. Tags: Blood And Iron Records, Doom Metal, Heavy Metal.